For those of you in the Seattle area, Georgianna Lane will be at Faded Elegance in Snohomish this coming Saturday, May 6th. I preordered her book, Paris in Bloom, and it is such a beauty. I feel really happy that so many French-themed books have been coming out this year. I can’t wait to meet her and get my book signed. For Independent Bookstore Day this year I picked up The New Paris from my favorite bookstore, Third Place Books. I waited to get it (as opposed to preordering it) because I wasn’t sure if it was just going to be some cool shops and places to eat in Paris, which I really wasn’t that interested in, or something more. It definitely looks like something more and I can’t wait to dig in! I’m starting it soon – hopefully this weekend. 40 Little Ways to be French from My Little Paris. My favorites are 5, 7, and 23; I’m working on 25 and 26; and and all set for 28 once (if?) the weather warms up. This short little piece on French wine sums up most French things that are great: more philosophy and less recipe. A few tips on marriage from the French. Basically, be your husband’s mistress. I love this idea! Technically she’s not French, but she has spent a lot of time there. 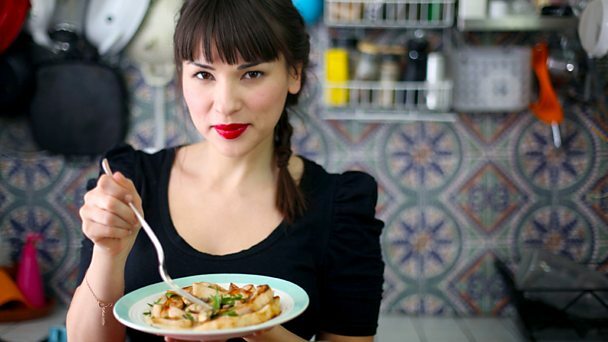 Rachel Khoo has three amazing cookbooks and a strong online presence. I love pouring over her books for constant inspiration and some of my best and favorite recipes have come from her. She also has some amazing videos that make her recipes looks easy-peasy. Read more on her site.